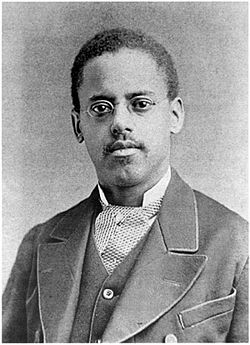 September 4, 1848 Lewis Howard Latimer, inventor and draftsman, was born in Chelsea, Massachusetts. Latimer joined the U. S. Navy at the age of 15 and after receiving an honorable discharge joined a patent law firm as a draftsman at the age of 17. In 1874, Latimer co-patented an improved toilet system for railroad cars called the Water Closet for Railroad Cars (patent number 147,363). This was the first of the seven patents that he received over his career. In 1876, Alexander Graham Bell employed Latimer to draft the drawings required to receive a patent for Bell’s telephone. Although Thomas Edison is credited with the invention of the light bulb, Latimer made significant contributions to its further development, including the patent (number 252,386) that he received in 1881 for the Process of Manufacturing Carbons, an improved method for the production of carbon filaments for light bulbs. Latimer died December 11, 1928. He is an inductee of the National Inventors Hall of Fame for his work on electric filament manufacturing techniques and Lewis H. Latimer School in Clinton Hill, Brooklyn is named in his honor. Latimer’s name is enshrined in the Ring of Genealogy at the Charles H. Wright Museum of African American History in Detroit, Michigan. 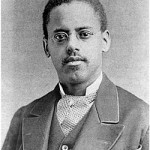 Latimer’s biography, “Lewis Latimer: Bright Ideas”, was published in 1997.